Curators are a strange species. Ranging from the traditional museum conservateur to the shape-shifting independent curator, the contemporary curator is a constantly evolving creature. I met with Adrian George, then Deputy Director of the UK Government Art Collection and future Director of Exhibitions at ArtScience Museum in Singapore for a little chat about the dangers and wonders that await a novice curator venturing into the mists of today's art scene. Bar Yerushalmi: There are many terms by which curators can be defined in relation to the art they exhibit: they can function as translators, facilitators, and connoisseurs, to mention only a few. Coming from a long experience of institutional and independent curatorial practice, how would you define your curatorial role? Adrian George: While the word ‘connoisseur’ implies specialization and a depth of knowledge, there is also something about the word that suggests class or privilege, and that doesn’t sit comfortably with me, so while I consider myself a specialist I don’t feel a strong connection to that particular word. All the words you have mentioned could be implicated in the word ‘curator’ as it is used today. It is difficult for me to find one word that sums up contemporary curatorial practice, because what we do is constantly changing and open to our own interpretation and that of others. B.Y: The Curator’s Handbook (Thames and Hudson, London, 2015) can easily be mistaken for a recipe book of curatorial practice, a kind of “be a curator in 10 simple steps” manual. What makes it relevant for contemporary curator? 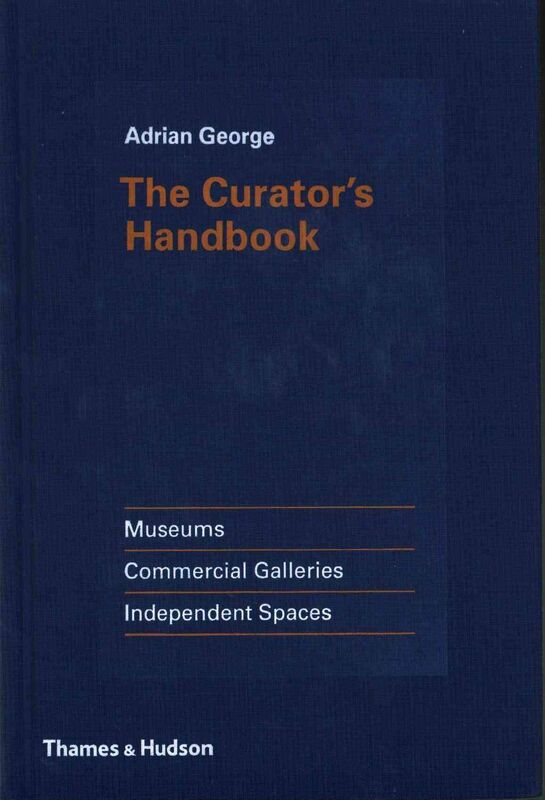 A.G: My book is not a handbook of ‘curatorial practice’ as that is far more wide-reaching, complex, creative and nuanced than could be expressed in a relatively short book. It is a handbook for the curator. ‘Curator,’ or ‘curated,’ is a term that is being (mis)appropriated by anyone and everyone. Radio and TV shows are ‘curated’, Apple Music selections are ‘curated’... but as you know there is a lot more to curating than simply making a selection from a pre-existing list of options. For me curatorial practice splits into two distinct aspects: one is background knowledge, along with an awareness of critical approaches to curating, history, and theory etc., and the other is the skill and experience needed to realise a project (that may arise from that knowledge) in a gallery, museum, or any other context. What are the issues, challenges, and risks in each circumstance? The latter is part of a curatorial practice that is hard to learn on a curating course – as each situation that one conceives/creates is different. As a curator, you will need an awareness of the potential risks, a sensitivity to your concept, and the flexibility and common sense to come up with practical yet creative ideas if you cannot deliver exactly what was planned. You need management skills and creative problem solving in order to reach your goal. This is the part of curatorial practice that my book speaks of. 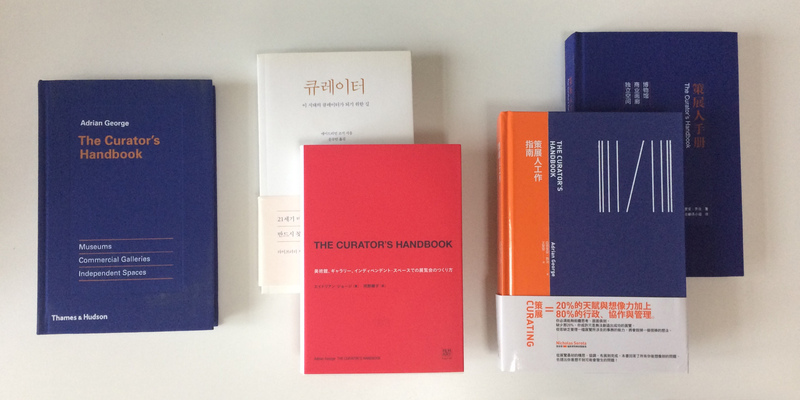 The Curator’s Handbook was written as a response to several years of working with interns, student curators etc., who were all to some extent academically accomplished but had little experience of translating their ideas from concept to reality – not (yet) having worked within a museum and/or national collection environment – where often small errors can have major consequences. The book is only intended to offer guidelines, benchmarks for working to generally accepted museum standards, with advice from important curators and directors from around the world. It offers starting points a curator can choose to work with, or diverge from. I hope it will equip a new generation of curators with the knowledge to avoid some of the pitfalls that I encountered in the first few years of my career. B.Y: Your book is quite focused on the technical aspects of exhibition-making. You cover everything from logistics of lighting and health and safety instructions to tips and guidelines of how to conduct a press conference for a show. Why are all these so essential? A.G: I think all the details are really very important! As a curator, the concept – the idea for the exhibition – is yours. Lighting? Definitely the curator needs to have input into that. Design of any exhibition-related merchandise? Definitely the curator needs to be involved in that too! As Elizabeth Ann Macgregor (director of MOCA Sydney) says in the book, if you do something wrong the audience will see it, if you do something right they won’t. Small technical issues, compromises, or work-arounds can make your exhibition look lazy, rough round the edges, incomplete, unfinished. In terms of health and safety, if something goes wrong in your exhibition and someone is injured, who is liable? Are you going to get sued? I would rather be aware of this risk than blind to it. As for press, I would rather speak about my project myself than hand that over to someone who may not fully be in a position to respond knowledgeably on the broader subject matter. But if you have good working relationships with educators and press officers/PR then definitely use their expertise! B.Y: You describe the art world as a complex jungle of political interests and power struggles. A true ‘Hunger Games’. Is this all we do - simply strive for survival? A.G: I’m not sure I would be so blunt as to compare the art world to a jungle… but it certainly is not a walk in the park on a sunny Sunday afternoon either! As curators we strive to achieve, to inform and to reflect in a world that is increasingly politicised. Art and exhibitions can change minds and affect people in subtle ways. In turn curatorial practice can be a tool for social change, demonstration, activism. Conversely, curatorial practice can also be subject to personal, private and institutional pressures. How do you fund your projects? Government funds? If so, perhaps there are certain restrictions under which you must work? Private funds? Perhaps the philanthropist/sponsor has a particular agenda? I think it is sensible to be aware of the meta-structures within which we find ourselves working… perhaps we are not as free as we think we are! B.Y: A major part of the book focuses on “pitching your curatorial proposal”, which is indeed a great obstacle towards any exhibition realisation. What is your advice for emerging curators when pitching their ideas? Will you really read a proposal from someone you don’t know or haven’t heard of before? A.G: Personally yes, I will read all proposals that land on my desk – unless they are printed on pink paper and come in an envelope filled with shiny love hearts (I’ve had that…). If the proposal fits into my overall programme, if it’s timely and well researched, and has a strong critical position, then my interest will be piqued and my next step would be to try to find out a bit more about the curator. I would want to make sure he or she were actually able to pull together the project, that there was some evidence that they had the skill, experience, and, most importantly, the network to be able to realise their idea and ambition. If not, then the idea is simply a fantasy that could be costly in terms of my staff-time and the reputation of my organisation. B.Y: Let’s talk budget. In times of many financial cuts for institutions and starving galleries, raising money for a project and bringing it to life is something that cannot be taken for granted, especially if you are an independent curator, and as such often get paid little (or not at all) for your work. Looking at the current situation, do we need to change the way we gather funds for art? A.G: When I first started making exhibitions, I would put in a small amount of money into each exhibition from what I was earning working in a bookstore. I asked the artists who I wanted to be in the exhibition if they would contribute a small amount for printing/private view costs, and from this we were able to deliver a project in a small commercial gallery. With in-kind support from venues, we made projects in a disused swimming pool, an abandoned chocolate factory, and a climbing centre. Each time the costs increased but each time I was able to raise more funds based on the success of previous projects. I think a new generation of curators can be really creative in how they raise funds and deliver projects. State funding for the arts depends entirely on where you are in the world. In some places you might be able to find significant funds, in others very little, if any. Finding corporate sponsors is also challenging and one has to be mindful of the ethical implications. Often those organisations that give generously to the arts are doing so for a reason, perhaps to help their public profile. In the UK I have found recently that university galleries can be surprisingly well funded or at least able to garner support in kind from shared services in the wider organisation – university print/publishing facilities, design teams, PR and events teams etc., freeing up some of the gallery’s available budget to spend on specific art-related/exhibition costs. Being aware of new trends and new developments can also point in the direction of new funding opportunities – networked funding bids seem to be an interesting way to go at the moment. Groups of smaller organisations, perhaps dispersed across a country or even globally, collaborating and through local sources bringing in small amounts that, when combined, allow for a reasonable scale project shared by several partners. Of course this means finding supportive working partners and being able to manage working democratically, perhaps not having absolute univocal control of a project, which can sometimes be a challenge. B.Y: You served until recently as Deputy Director and Senior Curator of the UK Government Art Collection (GAC), one of the most diverse collections of British art in the world, meaning your work was always on the boundary between the state and the public domain. How did this position affect your understanding of curatorial practice? A.G: The GAC is used primarily as a cultural diplomatic tool. Curators in my team worked with government ministers, and with British Ambassadors stationed overseas, to select displays of art that reflect British culture – so that might include everything from a 16th century oil painting to a contemporary photograph or kinetic sculpture. This role has brought into sharp focus what can be achieved through curatorial practice in terms of soft power. It can range from the most simplistic – the perception of how traditional or less traditional a minister or ambassador is based on the art they have chosen; to something much more subtle – a statement on sexuality and gender, through the presentation of works of art by well-known British artists who defy stereotypes, in a country where such freedoms are not granted. This is both a political and a curatorial decision and it depends on the careful selection of the work, as well as the ability of the recipient of the artwork (the specific ambassador, for instance) to be able to articulate the work and support the UK’s decision to show it in that location. B.Y: In your book, you speak about the role of ‘uber-curators’ such as Hans Ulrich Obrist and Klaus Biesenbach, who hold an ambiguous status of semi celebrities. These figures have been largely criticised for being crushing titans and luxury-obsessed. Has curatorial practice become a side product of money-making structures? A.G: In some instances yes. Art and money are symbiotic. Each keeps the other alive. I keep seeing advertisements for ‘curated’ things… a camera that can curate your snapshots for you; a selection of clothes by a specific designer that has been carefully ‘curated’. 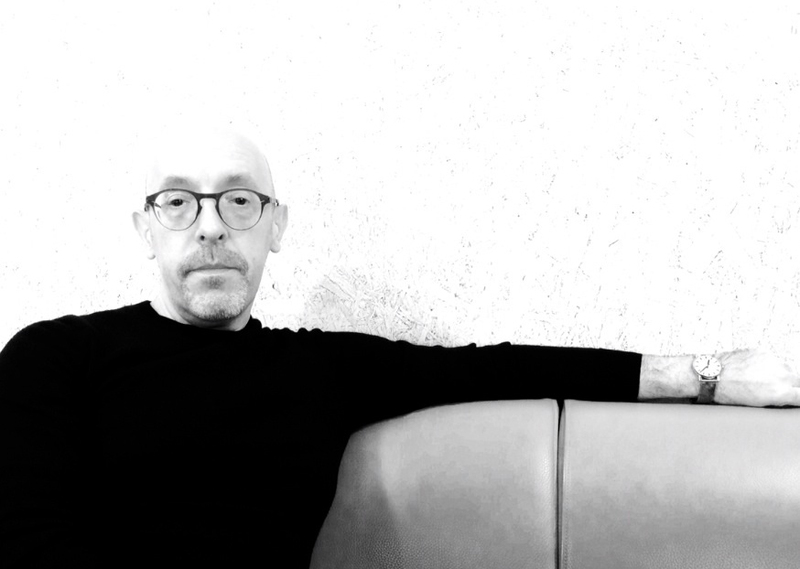 Luxury brands are buying into the cache of the ‘curator as connoisseur’ but that is it. They are certainly not buying into the reality of receiving art shipments at 2am and putting up labels at midnight. Some curators, at a certain level, choose to work with this art-money-luxury triumvirate, in order to get the funding they need to deliver their projects – and that is a perfectly legitimate strategy. However, it is not cost-free for the curators or their institution. Perhaps those curators lose some of their credibility as they begin to become more celebrity than curator, when what they're wearing or where they buy their coffee is equally as media-worthy as what they are putting on the walls of their gallery. Early on in my career someone said to me that the curator should stay out of the limelight. I’m fine with that. B.Y: You encourage curators to develop curiosity, to embrace new technologies, and to adopt/adapt to new art forms. Yet art institutions tend to resist new platforms of making art and prefer to ‘play safe’ with what the visitor already knows and would communicate with well. Is there a place for innovation within the big players domain, or are experiments bound to happen only on the side streets of the art world? And what is the next evolutionary step for curating, in your opinion? A.G: In general I think the future of curatorial practice has to be shared, democratic and somehow incorporating many voices. People today function in a much faster, multifocal world. We are used to looking at things on several different screens, while listening to music and/or holding a conversation, writing texts and emails, and flipping back and forth between one and the other, all this while navigating from A to B in our daily lives. So why shouldn't my curatorial voice, yours, and many others play out in a single exhibition space, or non-space, or any space, and still convey meaning? Each voice adds to the other, offering complementary or contradictory readings, or something totally random. Perhaps every exhibition should have a ‘red herring’, something anachronistic, quite simply just to throw a spanner in the works and make the viewers question everything that they’ve seen or will see from that point. I think the public can handle it, or if they can’t handle it now they will be able to soon.